aloo gobi masala restaurant style recipe - a rich creamy aloo gobi made restaurant style. aloo gobi masala recipe with step by step photos – this is a restaurant style delicious aloo gobi curry recipe. i have already posted aloo gobi dry recipe and dhaba style aloo gobi curry recipe. 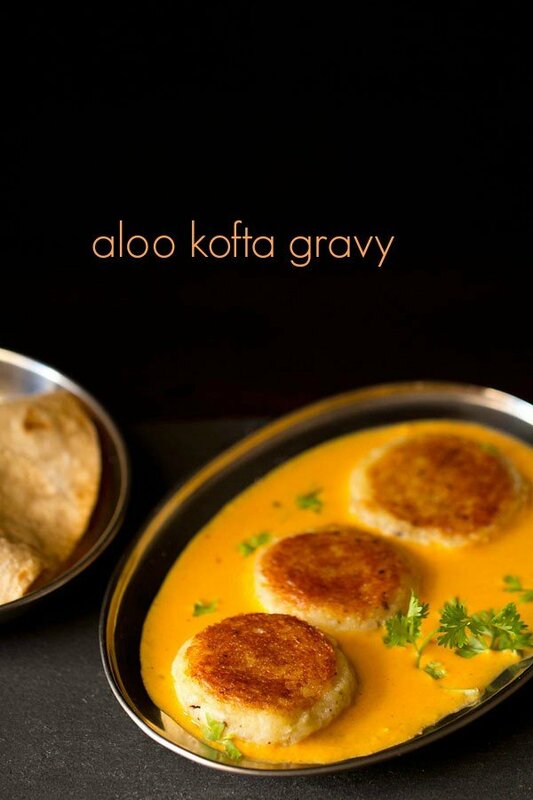 there are many ways of making aloo gobi recipe and this style is more close to makhani gravy/sauce which is used in making paneer butter masala or butter chicken. the only difference being there are onions in this one and it is slightly more spiced than a makhani gravy. 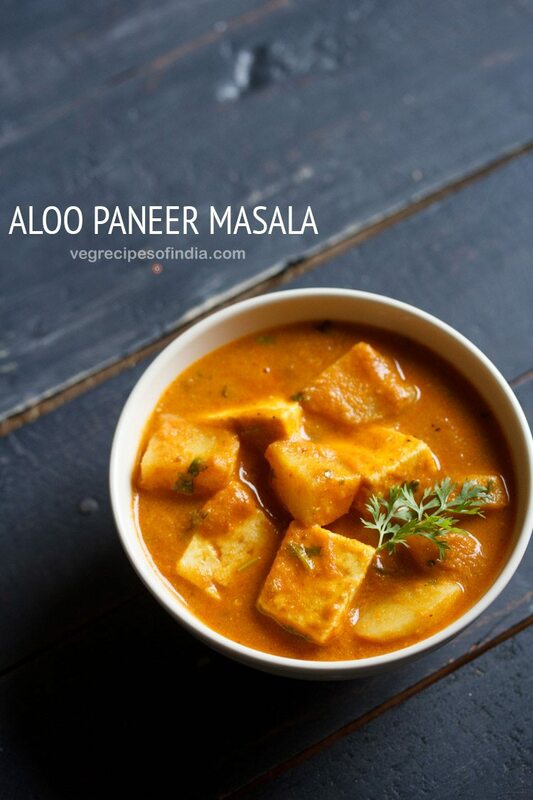 this recipe can also be made with paneer or tofu. you just have to add the paneer/tofu towards the end. 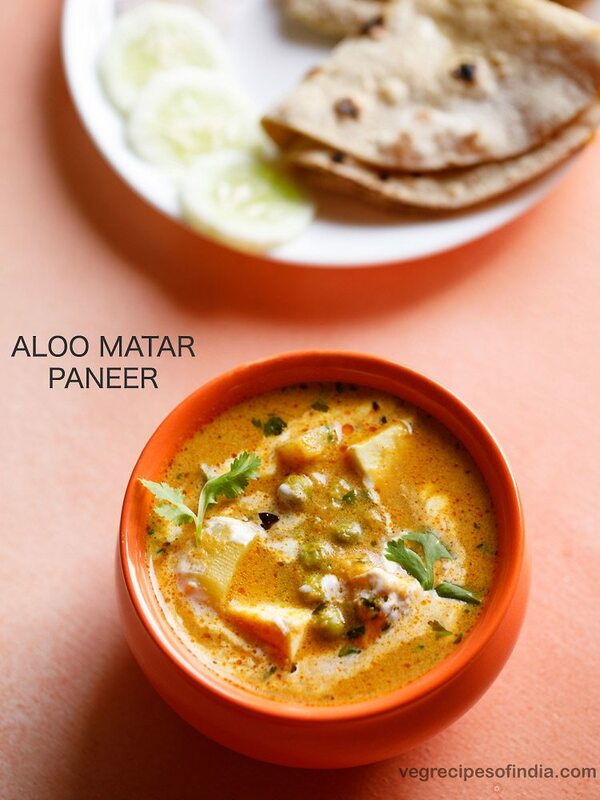 matar paneer and so on. this delicious aloo gobi masala goes well with rotis, parathas or even with naan. 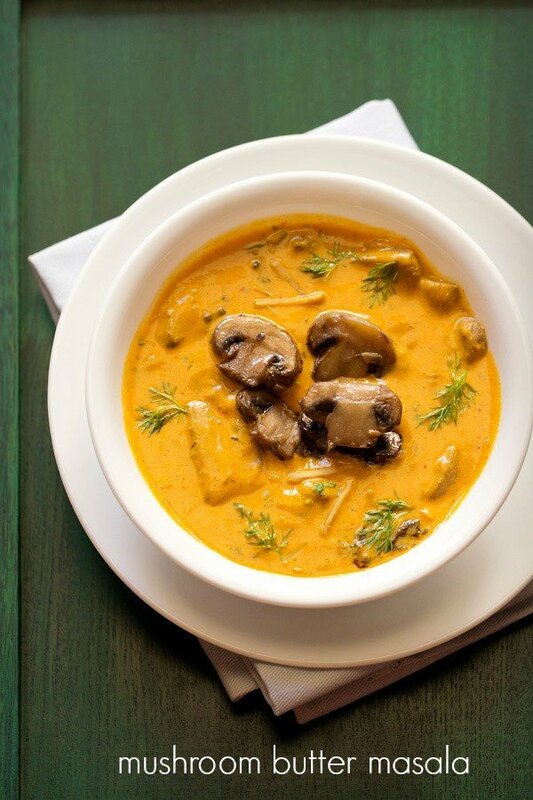 it is a rich curry as along with cashew paste, even butter and cream are included. you can skip the butter and cream if you don’t want them as the cashews and tomatoes already makes it creamy. addition of kasuri methi (dry fenugreek leaves) gives a nice final touch to the recipe and you can consider making this aloo gobi masala for special or festive occasions, guests or parties. overall this recipe is delicious and is a keeper. first soak the cashews in warm water for 30 minutes. 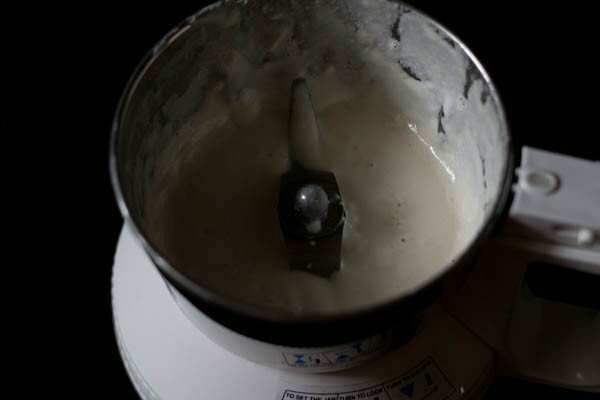 then drain and blend them to a smooth paste with about 2 tbsp water in a grinder or blender. rinse and peel the potatoes and then dice them. chop the onions and tomatoes finely. chop the gobi/cauliflower into medium sized florets. rinse the florets well in water. heat enough water with salt for the florets to be immersed in, on stove top or in the microwave. add the rinsed florets and keep them immersed in the hot water for 15-20 mins. this is to to get rid of the insects or worms that might be in the cauliflower. 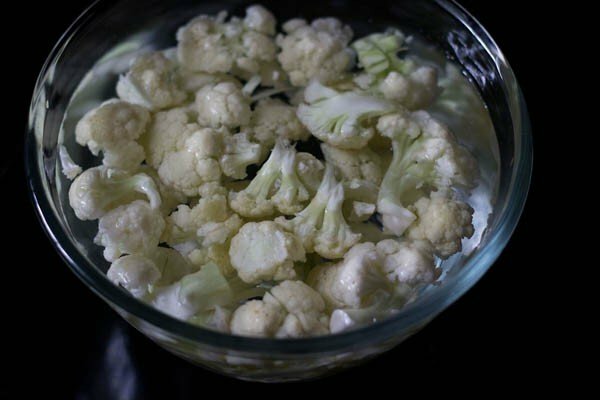 then drain the gobi/cauliflower and rinse once again with fresh water. heat the butter and oil in a pan and add all the whole spices or whole garam masala listed above. saute till the spices become fragrant. then add the chopped onions and saute till they become golden. add the ginger-garlic paste. stir and saute till the raw aroma of the garlic-ginger goes away. add the chopped tomatoes and saute till the tomatoes become soft and pulpy. this takes about 5-7 minutes on a low to medium flame. add the cashew paste and all the spice powders one by one - turmeric powder, red chilli powder and coriander powder. stir and saute till you see fat coming from the sides of the masala paste. the masala paste will start getting together and you will clearly see the fat leaving the sides. this process takes about 8-10 minutes on a low to medium flame. add the cauliflower and the potatoes. stir well. then pour water and season with salt. do add water as required. where we live, i get cauliflower which takes more time to cook. thus i add more water. if the cauliflower takes less time to cook, then add less water. cover and cook the curry till the veggies are done but not falling apart. stir for a few times when the veggies are simmering. if the aloo gobi gravy (sauce) thickens too much then just add a few tablespoons of water and simmer for a couple of minutes. lastly add the garam masala powder, crushed kasuri methi and cream. stir and simmer aloo gobi curry for half a minute without the lid. you can garnish the aloo gobi with chopped coriander leaves if you prefer. 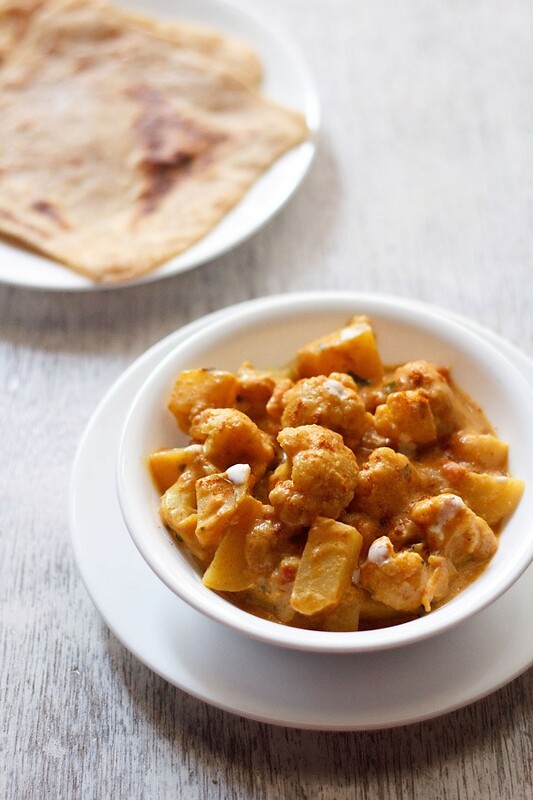 serve the restaurant style aloo gobi masala hot dotted with cream or butter and sprinkled with a pinch of garam masala, accompanied with rotis, naan or phulkas or steamed basmati or jeera rice. 1. boil water+salt on stove top or microwave. immerse 1 medium sized rinsed cauliflower florets (approx 2.5 to 3 cups chopped cauliflower florets) in the water and keep aside for 15-20 mins. 2. heat 1 tbsp butter + 1 tbsp oil in a pan. 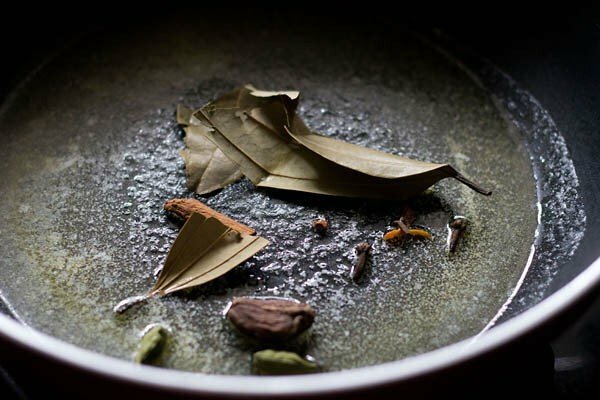 add the whole spices – 1 inch cinnamon, 1 bay leaf, 2-3 green cardamoms, 2-3 cloves, 1 black cardamom and 1 single strand of mace. saute the whole spices till they become aromatic. 4. add the 15 whole cashews which are soaked in hot water for 20-30 mins in a grinder or blender and make a smooth paste of cashews. 5. stir and saute the onions till they become golden. 6. add ginger-garlic paste (approx 1 to 1.25 tsp ginger garlic paste) and saute till their raw aroma goes away. 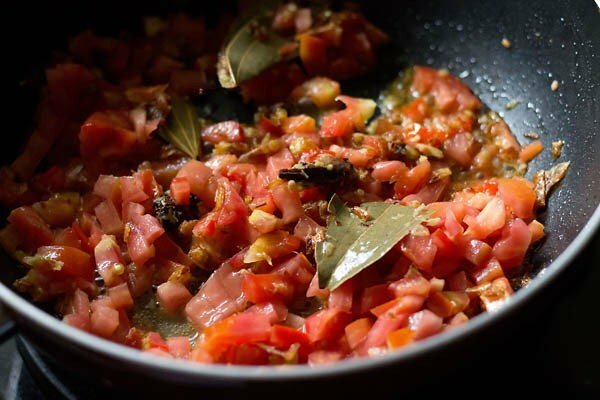 7. add 2 large sized finely chopped tomatoes (approx 2 to 2.5 cups finely chopped tomatoes). 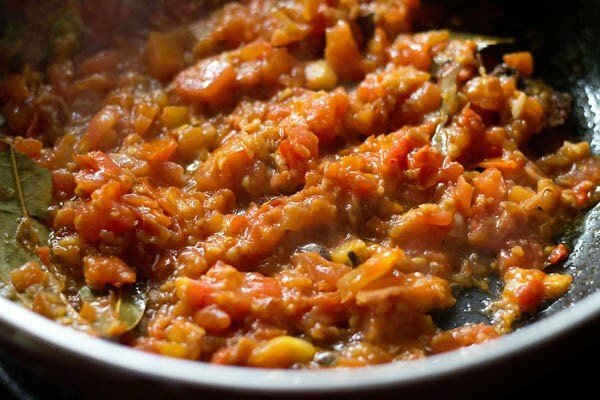 8. stir well and saute till the tomatoes soften and become pulpy. takes about 5-7 minutes on a low to medium flame. 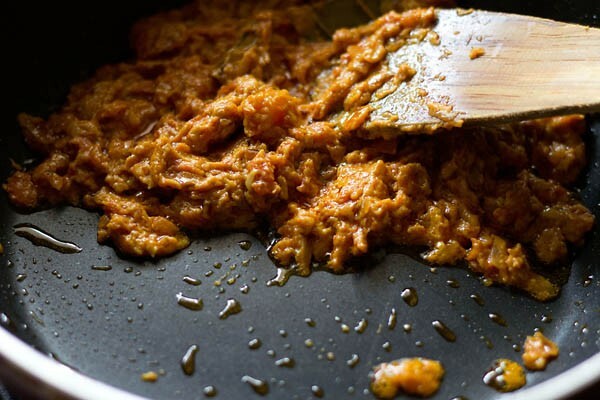 9. add cashew paste along with ½ tsp kashmiri red chili powder (or deghi mirch or ¼ tsp red chili powder), ¼ tsp turmeric powder and ¾ tsp coriander powder. 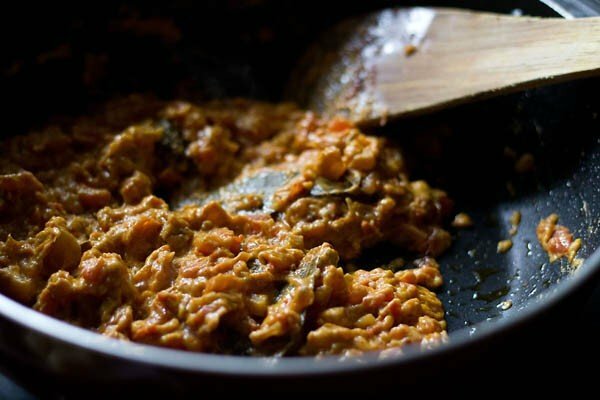 11. keep stirring at intervals and continue to saute the masala mixture till the fat starts to leave the sides. 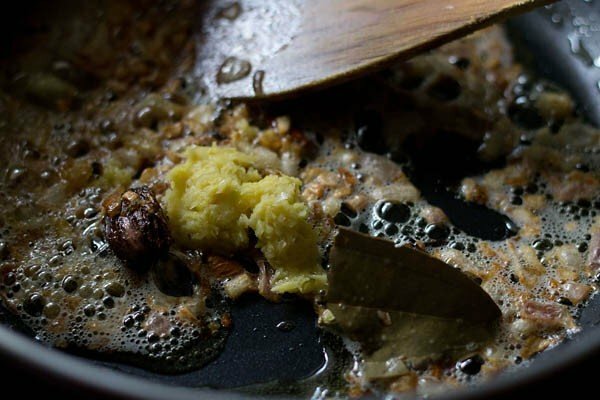 this sauting takes approx 8-10 mins on a low to medium flame, after the cashew paste is added. 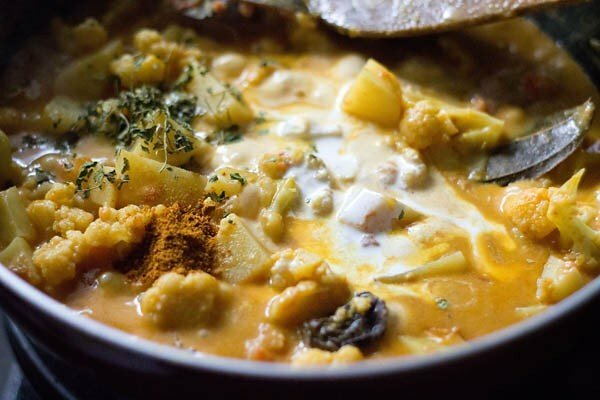 12. add the blanched gobi and 2 medium sized chopped aloo (approx 2 to 2.5 cups diced potatoes). 13. stir and pour 2 cups water or veg stock. season with salt as required. do add water as required. where we live, i get cauliflower which takes more time to cook. thus i add more water. if the cauliflower takes less time to cook, then add less water. 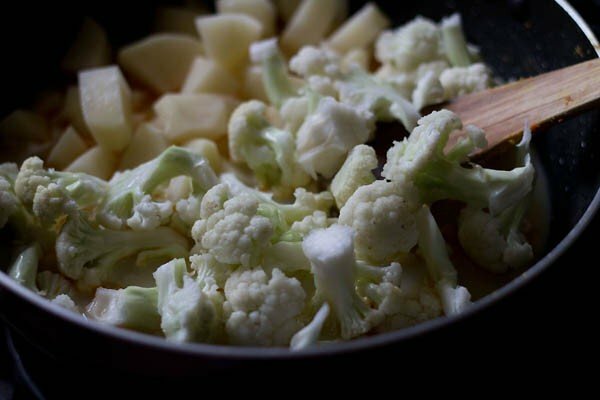 14. cover the pan with lid and simmer on a low to medium flame till the potatoes and cauliflower are cooked well. they should not fall apart but should be cooked till tender. on a low flame it took me about 40 mins. 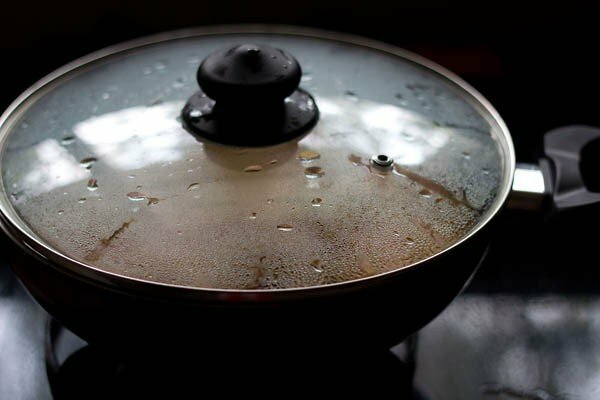 if you are in a hurry, then cook in a pressure cooker and add about 1 to 1.5 cups water. do check at intervals and if required you can add more water. 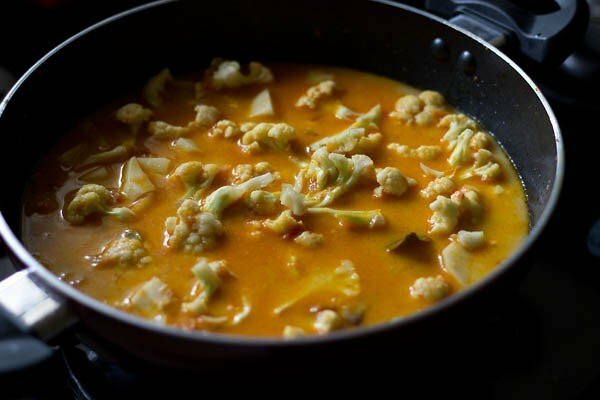 15. the aloo gobi gravy would become creamy and thicken by the time the veggies are cooked. 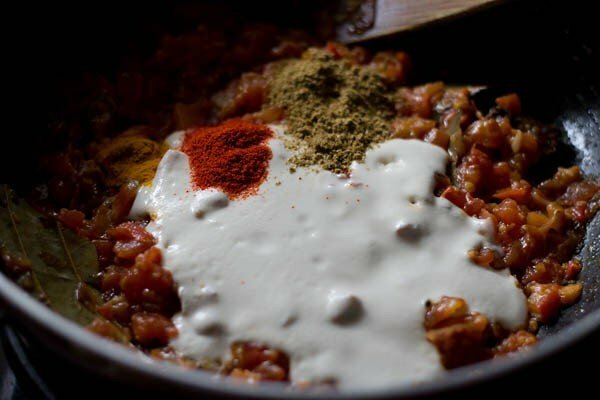 lastly add ½ tsp crushed kasuri methi (dry fenugreek leaves), ¼ to ½ tsp garam masala powder and 2 tbsp cream. stir the aloo gobi curry and simmer without the lid for half a minute. 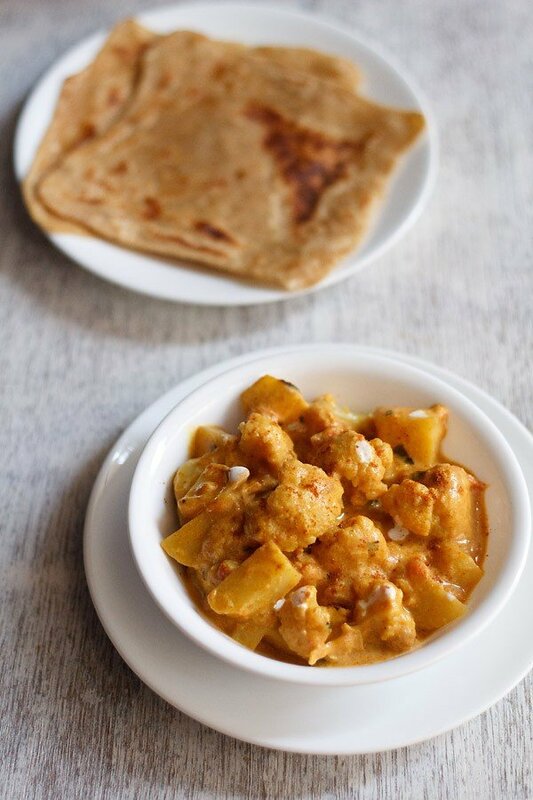 16. serve aloo gobi masala with rotis, parathas or naan. 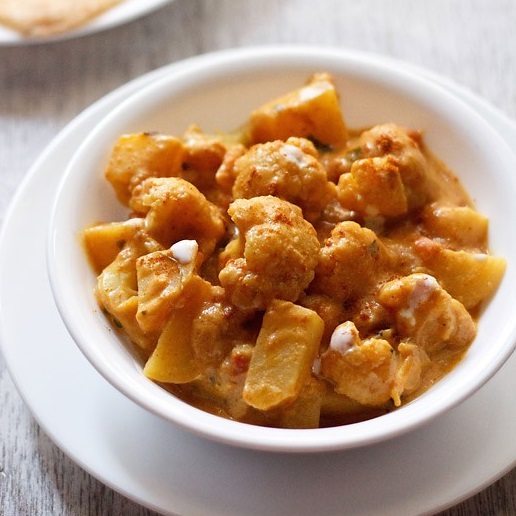 you can also serve aloo gobi curry with steamed basmati rice or jeera rice or saffron rice. Thanks michel. Water can always be adjusted as per the cooking time of the veggies. Here we get cauliflower which takes more time to cook. So thus 2 cups water required. But if there is less cooking time then less water can be added. Hope this helps. I will also update this point in the post. Hi, I strictly followed your recipe and it came out really tasty, but it was not much spicy or like typical Punjabi restaurant dishes. It was totally looked like the pic you shared of the dish. So can you please help me that when you prepare how it actually taste like? 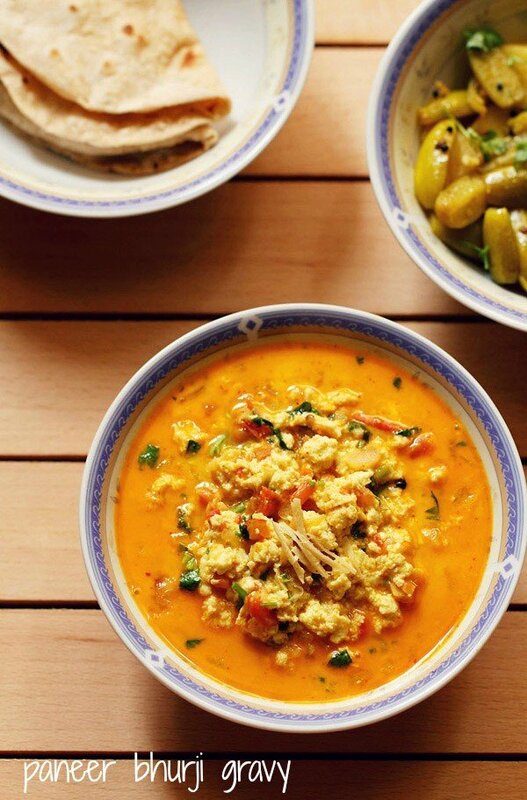 mausam, the gravy has mild sweet notes with the tang from the tomatoes. the recipe is not spicy. authentic punjabi food is not spicy. what is served in some restaurants as punjabi food is very oily and spicy with too much of cream or butter or oil at times. Does this go well with puri? with poori this aloo gobi will become a heavy meal. so i would suggest to have chapatis or phulkas with it. even a tandoori roti or naan pairs well. thanks daisy. you can use almonds. soak almonds in hot water for 30 minutes. then remove the peels and use the almonds. Welcome Tejaswi. Glad to know this. 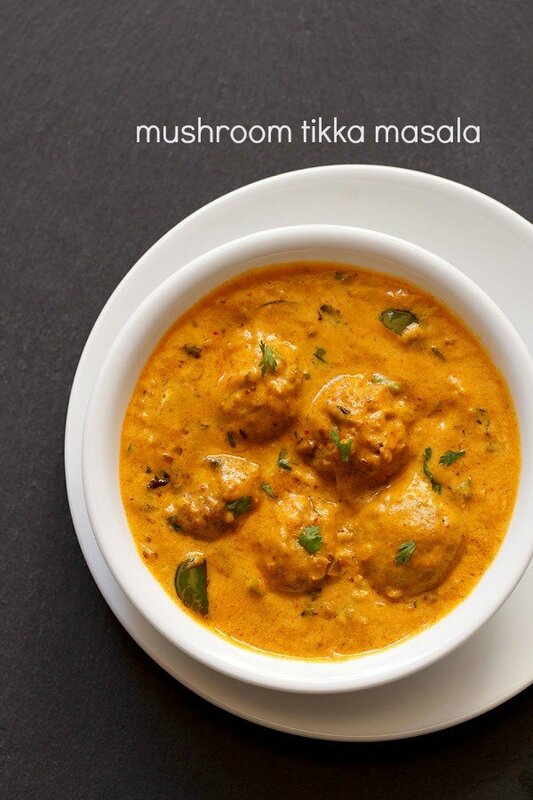 Can you please post gobi musallam recipe..
Vaijayanti, i will try to add the recipe. 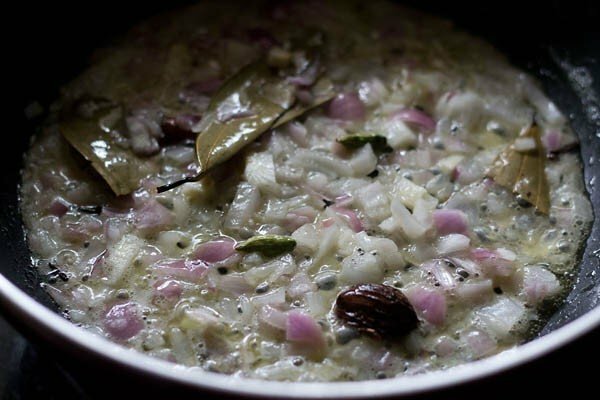 I tried this recipe last week and came out well..it goes well ith plain rice too..thnx? thanks ayshabi. yes it does goes well with plain rice too. 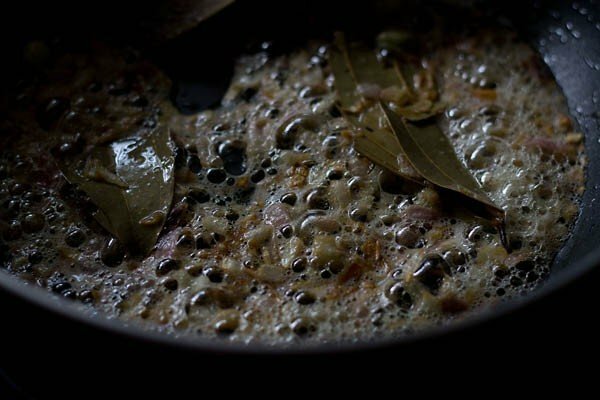 Starting to cook this now– it there an alternate to using cream? you can use coconut cream or just skip. Hi Dasana, once again the dish turned out great. I have been following your recipes for sometime now. Not only are they simple and easy to follow, the dishes always turns out awesome and accompanied by compliments from my husband. Keep up the good work! pleased to know this devi 🙂 and thankyou for your kind words and god bless you. Very tasty dish. I tried it yesterday, me and my family liked the gravy. Thanks for this simple and yummy recipe. thanks for the positive review vennala.